A partially anionic oil-in-water emulsifier for topical formulations. It enables the formulation of anhydrous emulsions for hydrosensitive APIs and emulsions with solvents or large amount of oily phase. 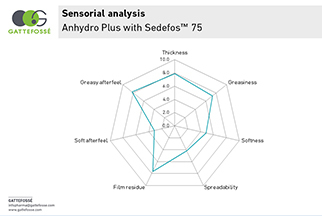 Emulsifier for anhydrous topical formulations. Emulsifier for difficult-to-formulate emulsions (solvents and large oily phase). Stabilizes and improves sensorial and texture properties. 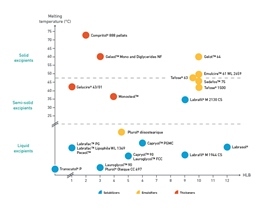 Safety of use is inferred by precedence of use in approved pharmaceutical products. Topical emulsion and foam (with aerosol). One-pot formulation process can facilitate manufacturing.